Home to the two most iconic clubbing spaces on Ibiza. 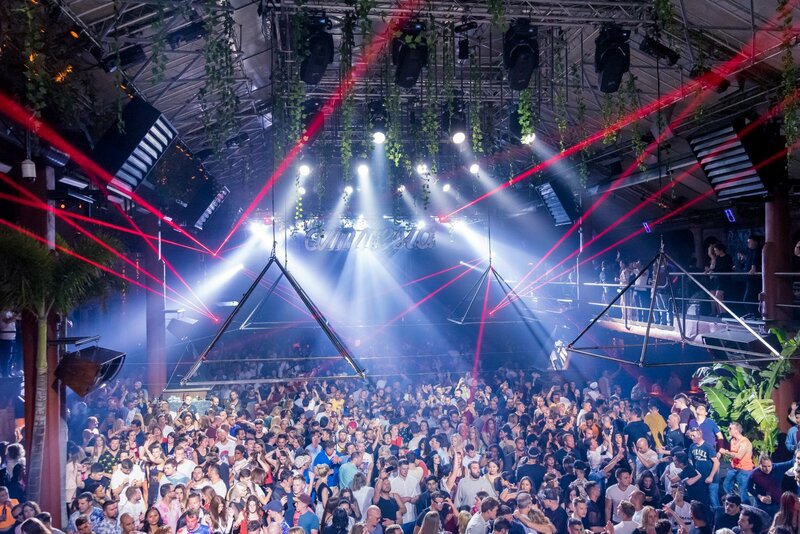 Arguably the most quintessential of Ibiza clubbing experiences, Amnesia has long been the backdrop for some of the island's most unforgettable clubbing moments. Two massive rooms - the Club Room, a dark, cavernous cauldron, and the Terrace, an expansive arena with a glass roof that is flooded with light when the sun rises - are guarded by the notorious Amnesia ice cannons that could strike at any time. Very eclectic in its programming, Amnesia covers the best of techno, house, bass, Latin and even some live shows. Like all the super-clubs, Amnesia's main dance floors can get extremely busy and are famed for incredible communal moments with every hand in the air. The upper levels of Amnesia are VIP, providing an amazing view of the revelry below. Famous for: Open-air clubbing in the '80s, DJ Alfredo's eclectic mix of house, disco and pop back in the day, sunrise on the terrace, the most epic opening and closing parties. How to get there: €10-15 in a taxi from San Antonio or Ibiza Town, around €20 from Playa d'en Bossa. Disco buses run all night direct from Ibiza and Playa d'en Bossa to San Antonio and vice versa. There are also special free buses for ticketholders provided by the club or promoter, from locations in Playa D'en Bossa, Ibiza Port and San Antonio. Prices: Expect to pay from €40 to €60 for most parties, depending on the month. Spirit and mixers cost around €15 or more and a beer €13. Water is €9. The bars upstairs are more expensive. Tip: Visit Cova Santa Restaurant which is part of the Amnesia group for one of the most enjoyable and exclusive dining experiences on the island. Truly excellent food and entertainment that can star genuine Spanish pop stars or ringside seats at the legendary Cocoon and Music On after parties which are sometimes held at the venue.